Soutien Gorge return to Boltfish Recordings with another FREE offering of 2 tracks, in a similar vein to 2008's "Szerelmes Nóta/Délutániád", featuring gentle melodies, acoustic guitar and chilled beats. This free release is available from Archive.org, Last.FM and Bandcamp. "Soutien Gorge of Bitlab Records’ fame returns to Boltfish Recordings with another two-track treat of warm and in all aspects cuddly electronic music (JAN 2011). 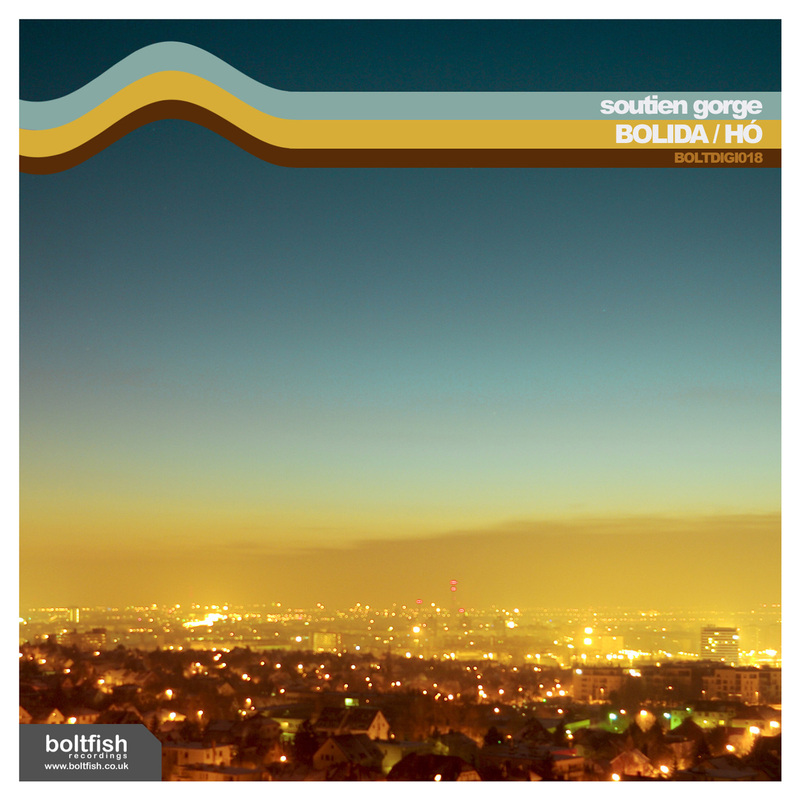 The ‘Bolida/Hó’ is their third release on Boltfish following the ‘Vízállásjelentés’ 2007 and ‘Szerelmes Nóta/Délutániád’ 2008 releases. Not as friendly as their 2008 release ‘Szerelmes Nóta/Délutániád’, but comparing with a lot of the rest of the down-tempo stuff these days (2011) it’s still a genuinely warm and cuddly experience. And you get two tracks of well produced warm lush electronic music and the only major question really, is what-ever happened to the ultra-sweet characters appearing on Soutien Gorge’s debut ‘Persze Remixes’ on Bitlab Records dating from 2005? I do hope the little ones are doing alright, in this cold, cold World!"